The 5/16/17 regular meeting of our school board was another lengthy one, ending around 10:00 p.m. I’m not even going to try to cover the whole thing in this article. Mostly I’m going to focus on public comment. Public Comment has become a passionate (and lengthy) part of meetings over the past year or so. Hopefully Mr. Crowell’s “thank you” was not premature, and the Board pulls this one off. The next two speakers voiced support for the Board’s approval of a renewed agreement with Lake Superior Swim Club to manage the district’s new, very expensive swimming facilities. Try as I might, I couldn’t squeeze this issue into a two-page article. I’ll have to write about it separately. This discussion over swimming pools was glossed over by most Board members and the mainstream media, but I found the whole issue to be very interesting. The remarks made by the Swim Club’s supporters clashed dramatically with another speaker’s viewpoint--but, again, space forces me to put it all on hold until next week. Nothing freezes a public gathering like a citizen being cut off from speaking. A cold feeling literally crept through the pit of my stomach. I’ve been in Mr. Banks’ spot, and I thought: here we go, again. A school board, with an uncanny knack for riling people up, expects everyone to appear at the public podium wearing a big, happy smile. In a just and ‘civil’ world, I should still be doing rehabilitation time in Stillwater State Prison, and now, apparently, Henry Banks should be my cellmate. If “Openly Displaying Irritation Towards Dysfunctional School Board” ever gets codified as a State Felony Offense, we’ll have to have Johnson Controls come back into town and add a prison facility onto Old Central. With any luck, we may be able to somehow fold the penitentiary population into enrollment numbers. Insight into member Welty’s motive for stepping into the foray can be found by looking back at the Art Johnston spectacle. During that saga, the establishment of Duluth pegged Mr. Welty as a pesky troublemaker defending an anti-Red Plan ally, but from what I observed that was not true. Harry Welty took an unpopular stand and continued to hold his ground because he was convinced what was happening to Art Johnston was NOT FAIR, and fair play is one of his core values. Prompted by the Superintendent, (later revealed to have passed him a note asking, “Personal Attack?,”) board member Welty apparently felt even more obligated to defend a colleague he doesn’t usually agree with. Mr. Banks finished his speech without further incident, well within the bounds of free speech and laced with legitimate criticism. I don’t know about one high school, but I believe the angst would have more than doubled--it would have quadrupled--if the people in the East had gotten the short end of the stick. The rich folk would have acted many times worse if they had suffered what the poorer Central citizens of the city suffered. If they’d lost THEIR school, (instead of getting $15 million more put into East High than any other building,) and that loss had happened in a devious, treacherous manner, including being effectively lied to by their “representative,” and their kids had ended up in underperforming classrooms, with fewer academic choices--if the situation had been reversed--the wealthy, privileged people who at times have condescendingly clucked their tongues at the less-advantaged citizens suffering the losses brought on by the Red Plan would have been in the boardroom screaming bloody murder, with their lawyers at their side. Any parent would be upset over a daughter’s public humiliation. Mr. Cook shouldn’t have to make his case again. Our Board is hamstrung trying to placate large groups of people desiring fixes that cost money, but how much effort is required to pacify an upset father and maybe keep him from inflaming his family and friends about a cruel public school that made his hungry daughter cry? An action item that got a fair amount of press from this meeting was the Board’s rejection of a proposal from the demographics firm, RSP. The company had been lobbying to conduct a district boundary analysis and “facilitate” a process to adjust to the new information that supposedly was going to be gained. The Board rehashed the whole debate again, but the only important point was whether or not member Sandstad would hold firm to her unwillingness to go along with administration’s recommendation. When she did hold firm, the DFL-endorsed coalition collapsed. Interestingly, member Harala, who’d argued repeatedly to move forward with the RSP proposal, voted with the majority against proceeding, and member Loeffler-Kemp, who usually speaks up in a loud, domineering tone, voted so meekly in favor of the resolution, no one was sure if her vote was aye or nay. The vote ended up being 5-2 against the proposal, with members Loeffler-Kemp and David Kirby the only two who voted to approve. A rare moment in the boardroom, this vote actually felt like real, representative government. For once, administration didn’t get its way! The other big action item of the evening was the Board’s unanimous vote in favor of re-bidding the playground mulch project. The hope is that the ridiculously-high, initial bid of $1.2 MILLION can be reduced to something slightly more manageable and sane. Several other issues also came up, as always, such as the APU enrollment number. Member Johnston pointed out that this month set “a new record low enrollment in our schools.” 10,772 students were enrolled in ISD 709 the year before Keith Dixon came to town; the current APU number is 8132, a staggering 24.5% drop. “I must respectfully disagree with member Sandstad.” Member Johnston responded, pointing out that RSP downgraded its projection by more than 500 students from two years ago and that the Red Plan’s demographer projected 9600 students in our schools. The district’s precipitous enrollment drop isn’t due to a population change; the drop is primarily due to a loss of market share, an exodus. 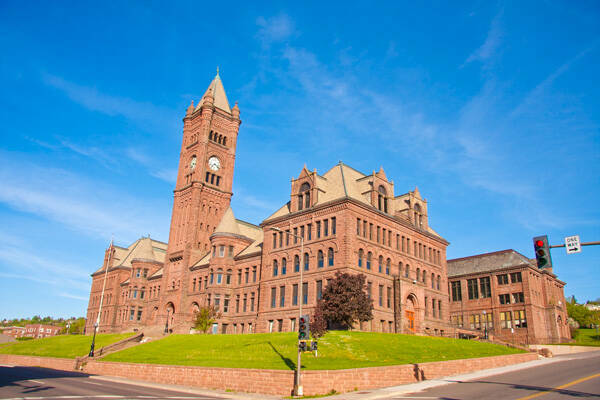 Annual open enrollment numbers out of Duluth more than doubled during Keith Dixon’s tenure, a net loss of 1301 students during the last three years of his ruinous reign, alone. A half billion dollar investment has been failing since its onset, and no solution has ever been found by denying reality.